Have you made your mind to take driving as your career? If yes, as a go ahead you need to undergo a driver training so that you can become a well trained driver and get yourself a LGV, PCV or CPC license. We Dhoot Driving School at Palmers Green are an expert in LGV driver training, PCV driver training and driver CPC training. Having a professional driver license you can work anywhere like trucking companies or private transport firms. One good thing about Dhoot Driving School is that, we provide driver training in variety of languages like English, Hindi, Urdu, Punjabi, Hindi, Kashmiri and many more. So, it doesnâ€™t matter from which country you belong the language will never be barrier in your driver training at Dhoot Driving School. We have hired one of best instructors of London who can speak many languages and each of them is DSA approved. Our main motto is â€œTo give our best without sacrificing our qualityâ€, so that our students get the driver license without any failure. Dhoot Driving School provides you LGV (HGV) driver training so that you can become a professional Category C and C+E driver. To get under this training you need any special qualifications; the only requirements are that you need to acquire a UK driving license plus a passion for driving. 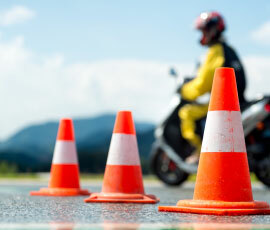 Our training will help you a lot in order to become you an expert driver. Believe us, Dhoot Driving School will be a good start for your career. Through our training thousands of new drivers have successfully got their driving license and got very good jobs. We believe in giving our best. Also, LGV drivers will always remain in demand because the demand to move goods from one point to another will never deplete. Hence, LGV drivers demand will never be less. â€¢	C – up to 32 tones: Having this license will allow you as driver to take vehicle with minimum weight up to 3.5 tones and maximum as 32 tones. â€¢	C + E Truck & Trailer: Having this license will allow you to drive trucks up to 44 tones with trailer weight greater than 750 Kgs. â€¢	C1 â€“ License: Possessing this license will help you to drive large vehicles whose weight canâ€™t exceed 7500 Kg and doesnâ€™t allow a capacity of more than eight passengers with driver seat in addition with trailer not exceeding 750 Kg. â€¢	C1 + E â€“ License: This license will help you to drive all large vehicles in category C1 but the trailer weigh greater than 750 Kgs and total weight not exceeding 12,00 Kgs . â€¢	C1 + E – 7.5t and trailer: This license will help to drive vehicle weight restriction to 12,000 Kgs. â€¢	D1 Minibus: Under this license you can drive a minibus with not more than 16 passenger and weight up to 750 Kgs (with or without trailer). â€¢	D1+E Minibus & Trailer: Under this license you can drive PCV vehicle with trailer weight up to 750 Kgs and total vehicle weight not more that 12,000 Kg. â€¢	D Automatic Bus & D Manual Coach: Under this category you can drive bus with not more than 8 passengers and trailer weight not more than 750 Kgs. If you have passed your test after January 1997 and want to use your license in work then you will have to take driver CPC (Certificate of Professional Competence). This is necessary announcement made in September 2009. 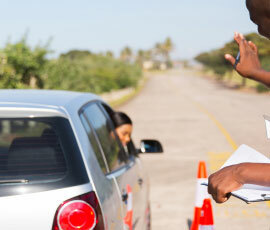 The driver CPC training ensures that the drivers are well experienced and qualified for driving.